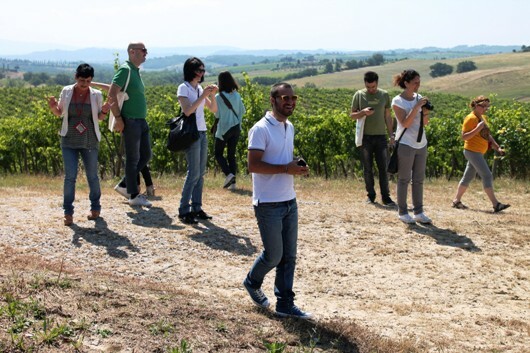 “Italiano camminando” is a week-long course designed for those who prefer a walk in the open air to a classroom lesson. Walking together in the Tuscan countryside (the Valdichiana and the Val d’Orcia) while speaking in Italian will allow you to practice the language and understand the culture better, using the language and improving your pronunciation in an informal context, each according to their own level of competence but always with the guidance of a teacher who is attentive to the needs of everyone. The course is recommended for people with elementary to advanced levels of competence in the language, who like to walk in the country and have the capacity to accept others who speak at a level higher or lower than their own. It is not recommended for complete beginners.